There are three key aspects you should look for when searching for Miami Beach houses for sale. These areas will help you not only find the house of your dreams but also help maintain the resale value and turn your new house into an investment. When looking for a Miami Beach house you should pay close attention to the location, waterfrontage, and the opportunity the home offers. Finding Miami Beach houses for sale in an ideal location is something to look for when searching the market. The right location will increase your enjoyment on the property and will help with the resale value down the line. This Miami Beach house for sale is located on the Venetian Islands which provides prime waterfrontage and a highly sought after location. The home was rebuilt in 2016 and is very luxurious inside and out. The backyard has an amazing waterfront view along with the sophisticated lap pool and lush green grass for lounging. This Miami Beach house for sale is a great find for someone looking to merge old and new while accommodating a luxurious lifestyle. 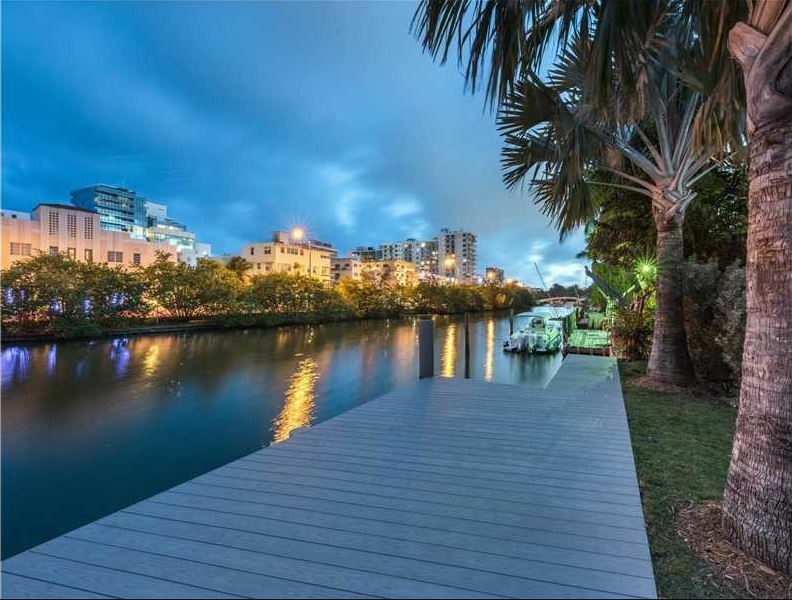 There are plenty of Miami Beach houses for sale with waterfrontage, but when shopping for a home it’s important that your waterfrontage fits your needs. Waterfrontage can vary in its access, from seawall to extended dock, and the depth can dictate which types of boats or water vehicles it can handle. This Miami Beach house for sale has a gorgeous view of the channel and 100 feet of waterfrontage. The backyard has amazing stonework around the pool and overlooks the water. This setup is perfect for those looking to enjoy the water, either the view or getting out on a boat, and is definitely something to keep an eye out for when searching for a new home. Another feature to look for when searching for a Miami Beach house for sale is opportunity. There are a few properties where the home has yet to be built. This open lots are a great opportunity for customization and making sure you get exactly what you need in your new home. This Miami Beach house for sale is a great example of a space that has approved plans and opportunity. There’s an amazing view of Watson Island as well as the bay, and the pool has a waterfall in addition to an amazing view. This home is very modern with amazing natural light and space for hosting guests or room for the family to spread out and relax.